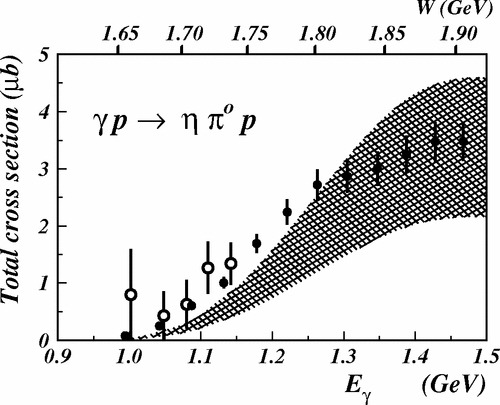 The analysis of the γp→ηπ0p reaction has been performed using data from the GRAAL experiment. The total and differential cross sections and the beam asymmetry have been obtained from threshold up to 1.5 GeV of beam energy. The two resonances S11(1535) and Δ(1700) are expected to be excited in the intermediate states of this reaction. The results are used to test predictions based on the assumption that both resonances are dynamically generated from the meson-baryon interaction provided by chiral Lagrangians. The term involving the Δ(1700) excitation, followed by the decay into ηΔ(1232), is found to be dominant.